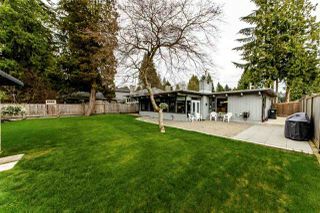 Please find below the most recent listings for Lynn Valley houses , updated daily. Please direct any inquiries to Lynn Valley REALTOR® Jim Pilkington of REMAX Crest Realty, North Vancouver JimPilkington@Shaw.ca 604-785-5188. Lynn Valley is as vibrant and booming as ever and truly is a community and neighbourhood on the move and offers some of the most beautiful character homes. Lynn Valley hosts some of the most picturesque scenery you could ask for with Lynn Canyon Park and the Lynn Headwaters Regional Park. Access to the Lynn Canyon Ecology Centre and Lynn Canyon Suspension Bridge is off of Peters Road. Lynn Valley residents will take full advantage of the great hiking, trails, cycling, and scenery. The Lynn Valley area was recently featured on Global News as one of the real estate hot spots for all of Vancouver. Lynn Valley is home to 2 great elementary schools, Upper Lynn Elementary and Lynn Valley Elementary as well as Argyle Secondary School. There is also a private French elementary school, EFIV, Ecole Francaise Internationale de Vancouver. Karen Magnussen Rec Centre hosts North Vancouver’s only wave pool and also offers a skating rink and weight room. With the addition of the new Lynn Valley Village, you’ll enjoy wonderful new shops, restaurants, a fantastic library and more. It’s quickly becoming the heart of the community and one of the top family destinations. 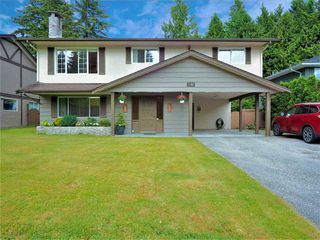 Finding a Lynn Valley House and calling it home will also bring you closer to some wonderful community events and traditions. Every spring Lynn Valley host the “Lynn Valley Gala” a dinner and dancing event open to anyone. The following day you’ll be amazed as Lynn Valley comes to life with “Lynn Valley Day”, which starts off with a parade down Lynn Valley Road, followed by entertainment, rides, games, races, and so much more at Lynn Valley Park. During the month of December right in the center of Lynn Valley Village is the ever popular, “A Lynn Valley Christmas”, which hosts over 70+ Christmas trees decorated by local merchants and businesses and kicks off with a visit from Santa, music, choirs, refreshments, and more. The most popular streets in Lynn Valley, North Vancouver being searched for on my site with houses currently for sale include: Wellington Drive Houses For Sale, Fromme Road Houses For Sale, Mountain Highway Homes For Sale, Frederick Road Houses For Sale, Dovercourt Road Homes For Sale, Underwood Avenue Homes For Sale, Langworthy Street Homes For Sale, Kilmer Road Houses For Sale, Dempsey Road Homes For Sale, Coleman Street Homes For Sale, Lynn Valley Road Houses For Sale, William Avenue Homes For Sale, 29th Street Lynn Valley homes for sale, Doran Road houses for sale, Chaucer Avenue homes for sale, Ross Road houses for sale, Hoskins Road homes for sale, Jerome Place homes for sale, Allan Road Homes For Sale, Chamberlain Drive Homes For Sale, Henderson Avenue houses for sale, Maginnis Avenue homes for sale.